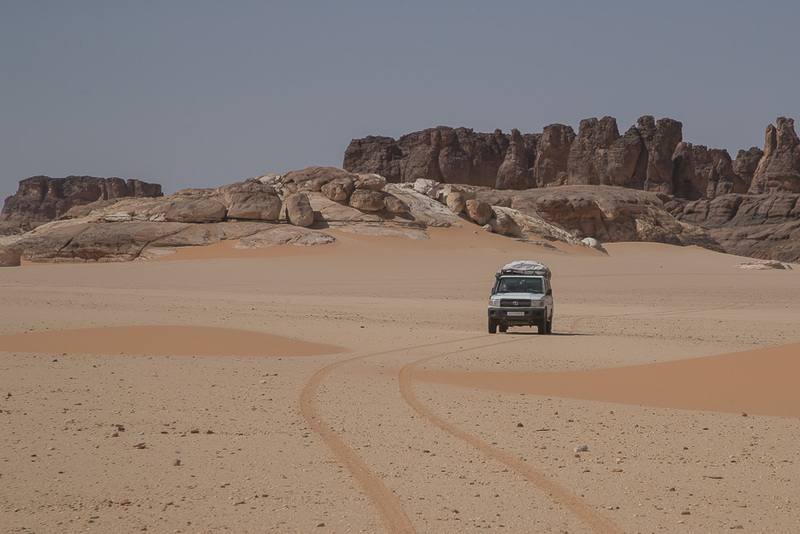 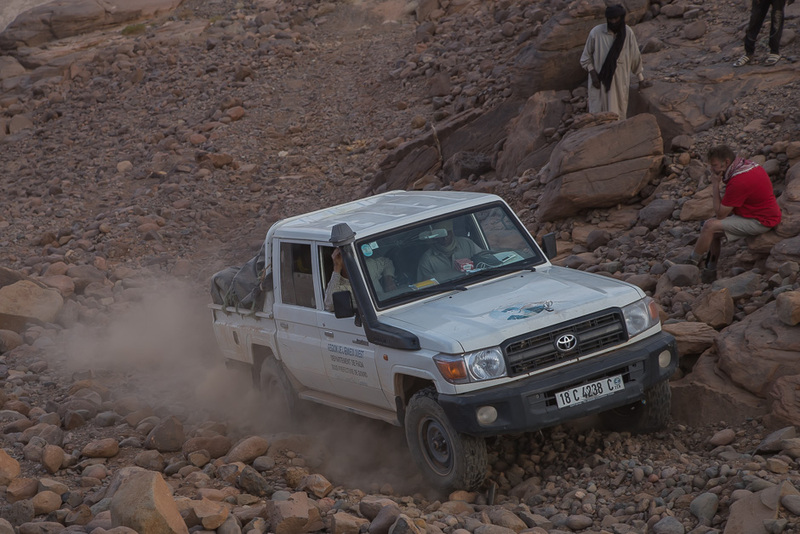 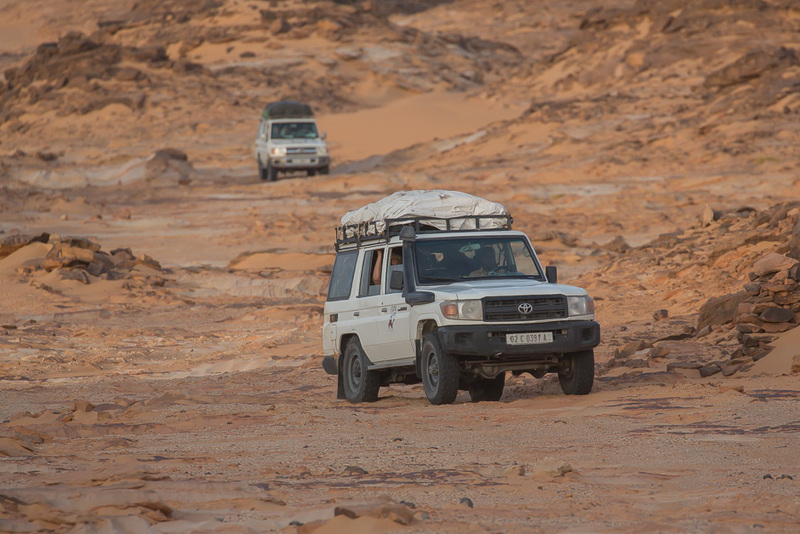 The Tibesti massif is a mountain range in the Central Sahara and it is located in the north-west of Chad. 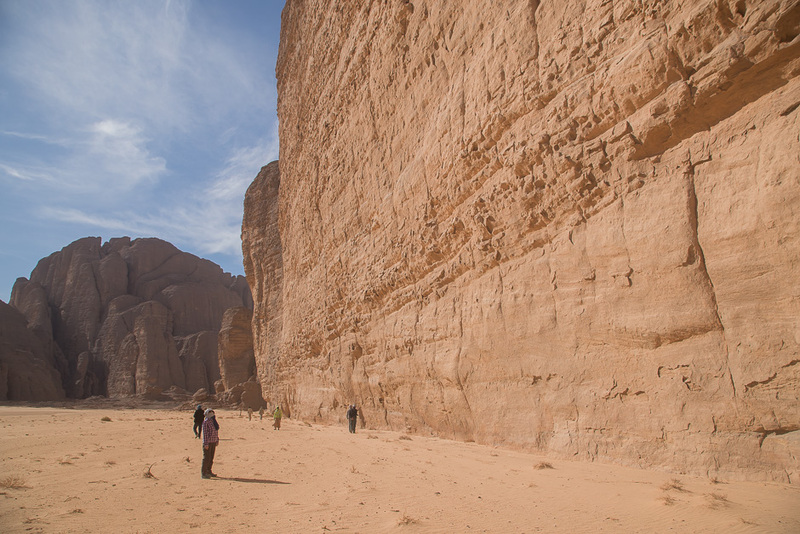 Its northern part is divided by the border of Libya. 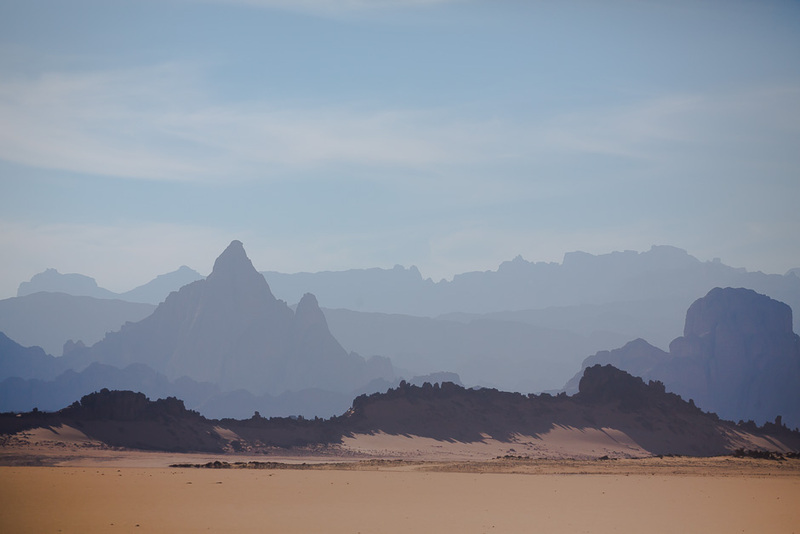 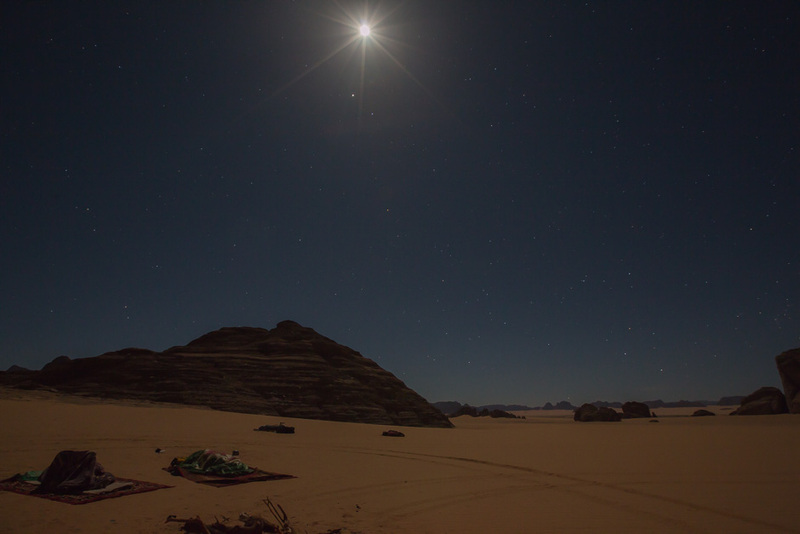 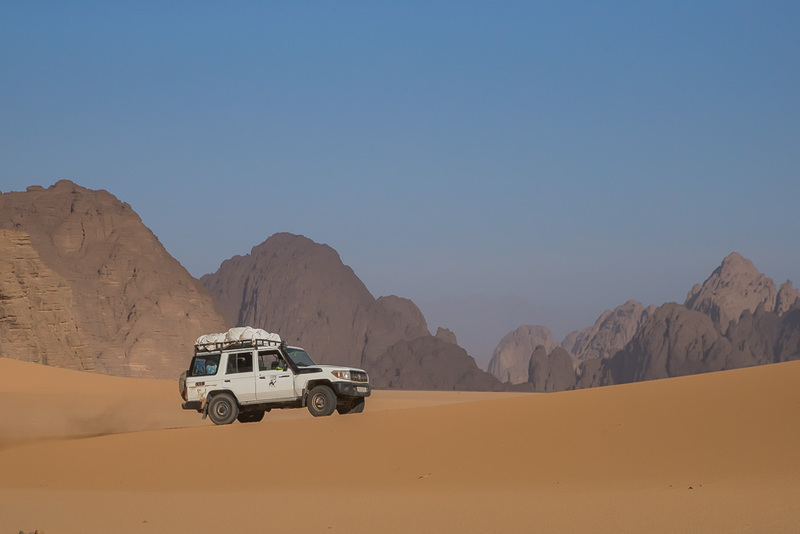 There are many volcanic mountains in the Tibesti such as Emi Kousi (3,445m), the highest mountain in the Sahara. 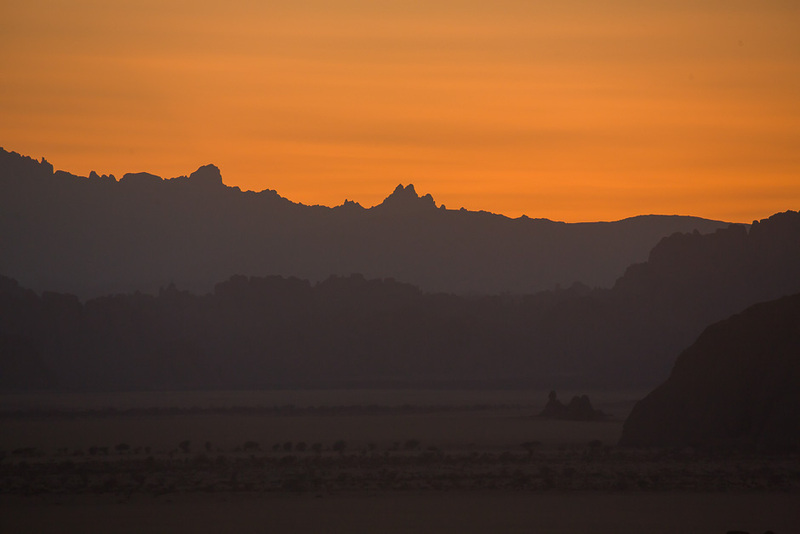 However, there is no volcano in the east where the Ouri plain extends. 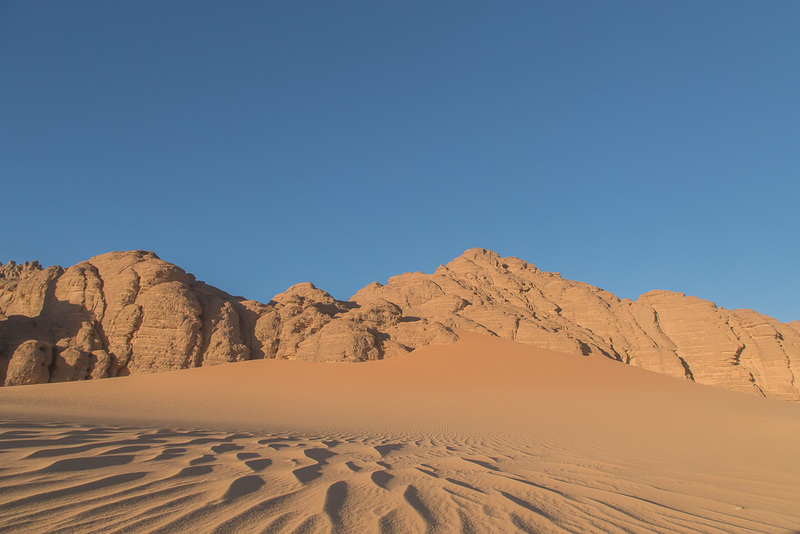 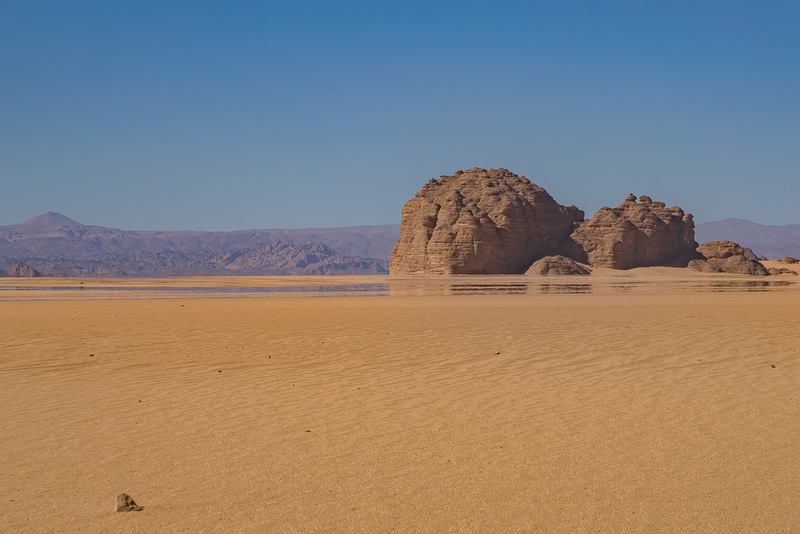 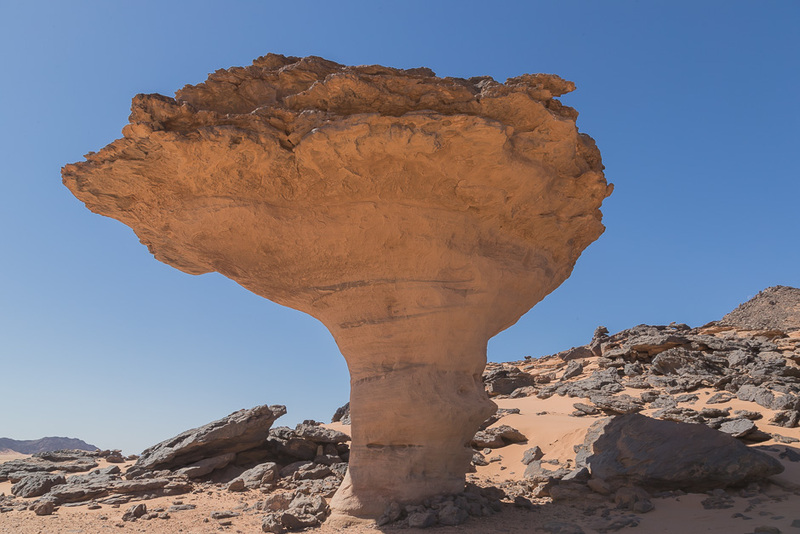 The land is formed with sandstone and sands. 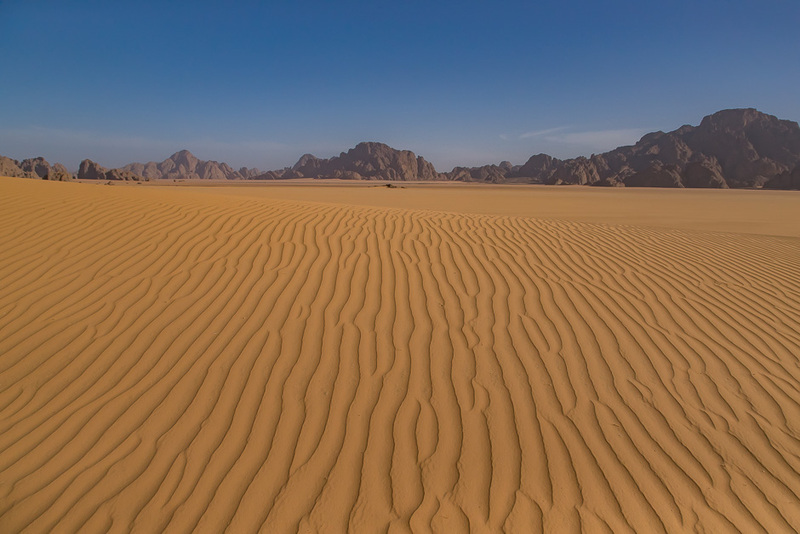 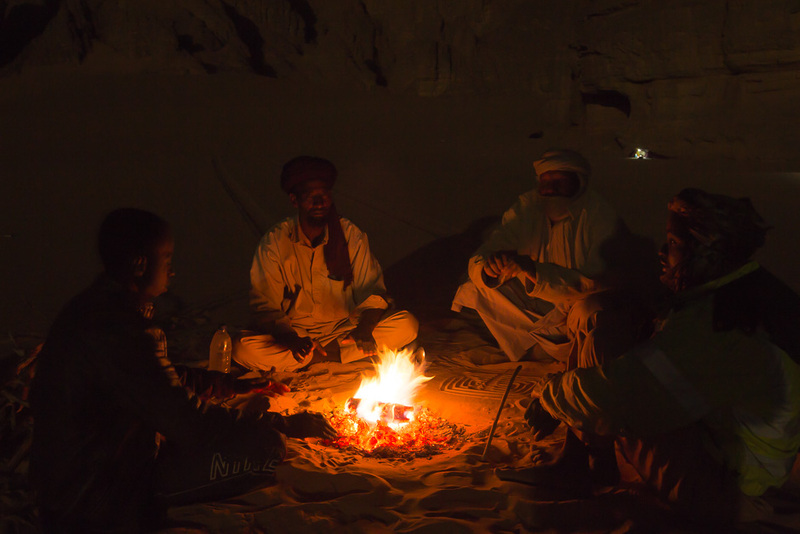 The climate is very arid and the vegetation can be seen only at dried river beds. 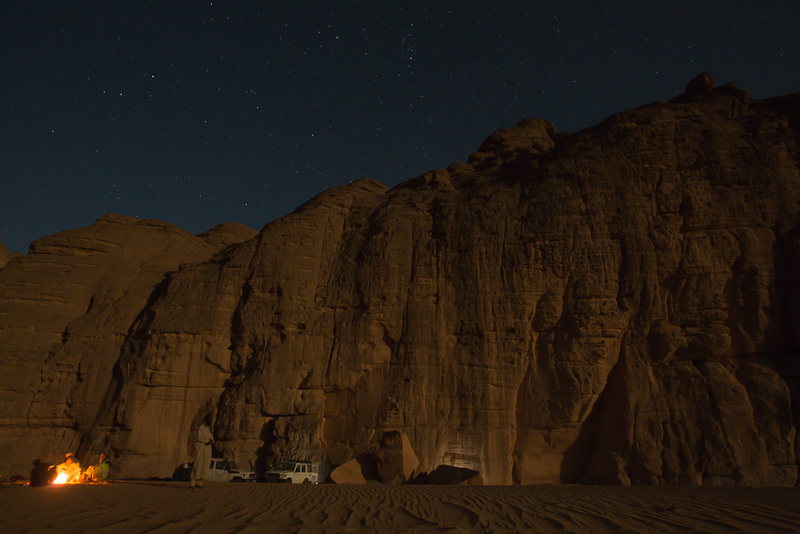 The only habitable area is a small village of Ouri. 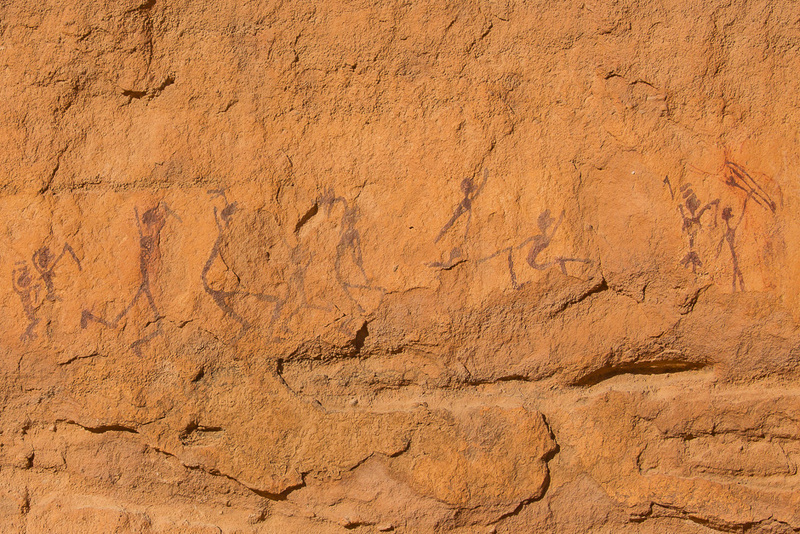 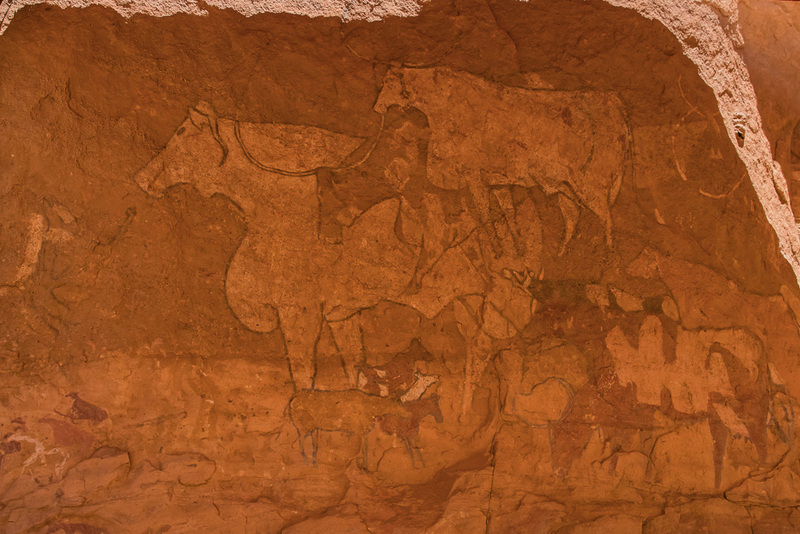 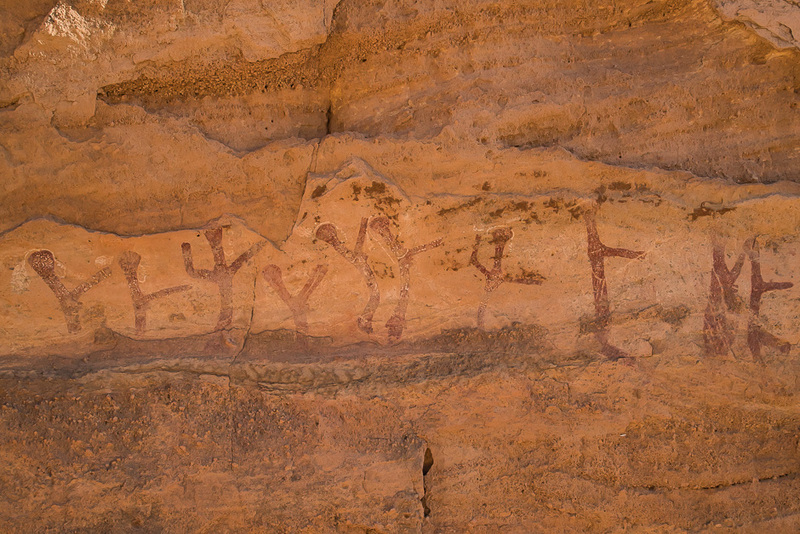 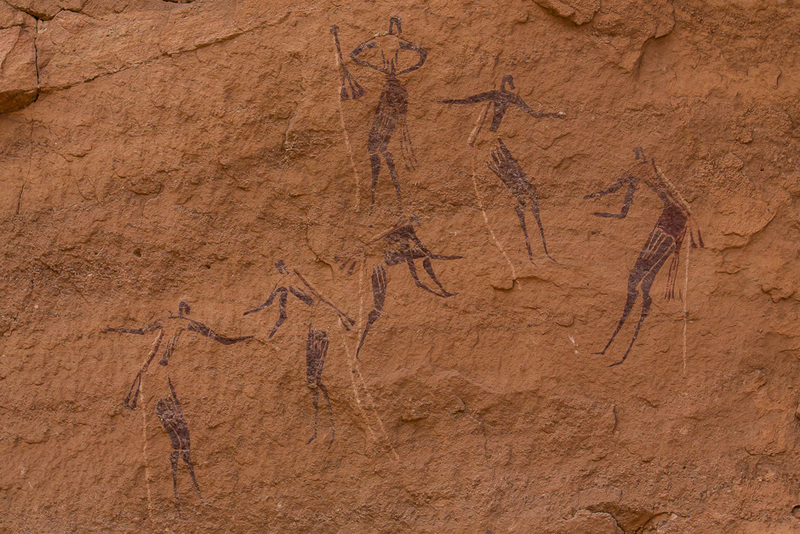 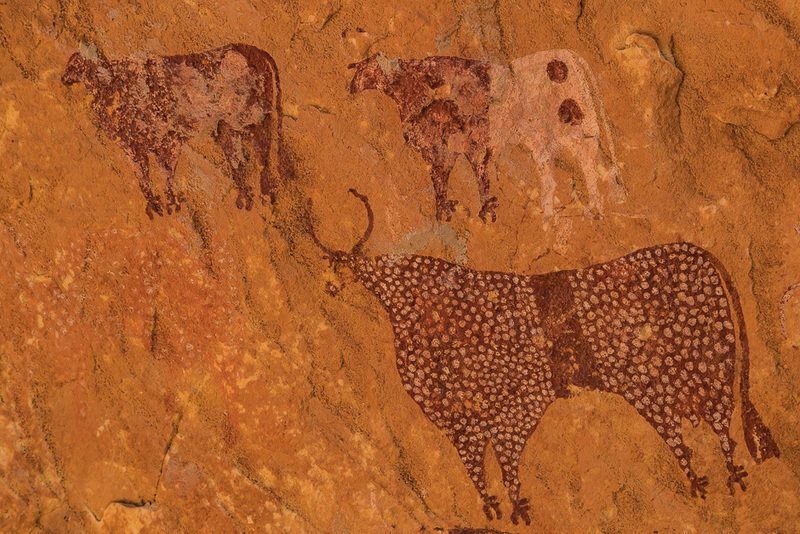 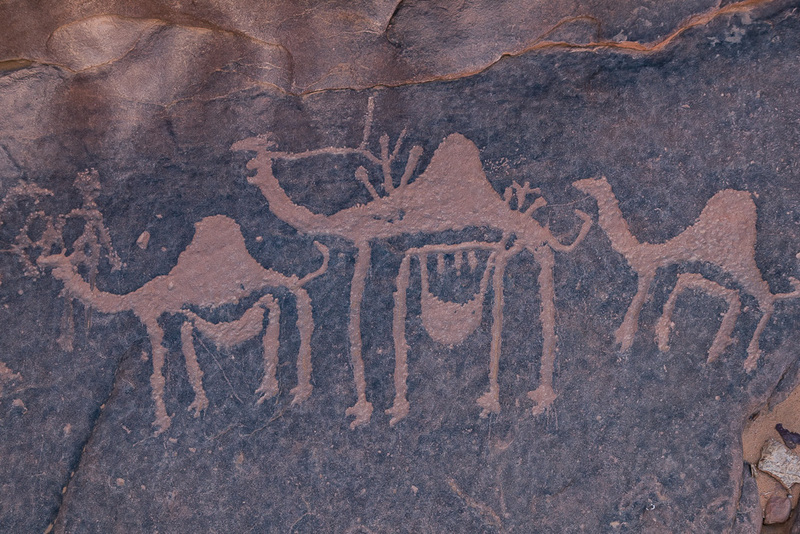 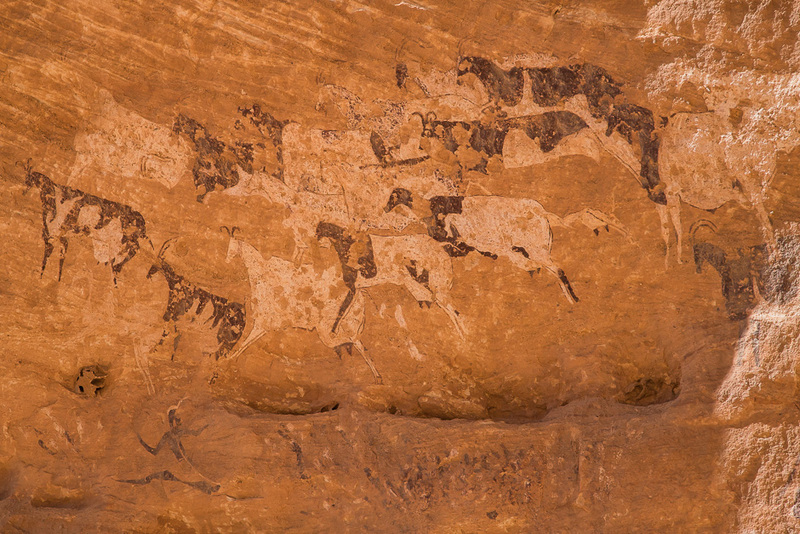 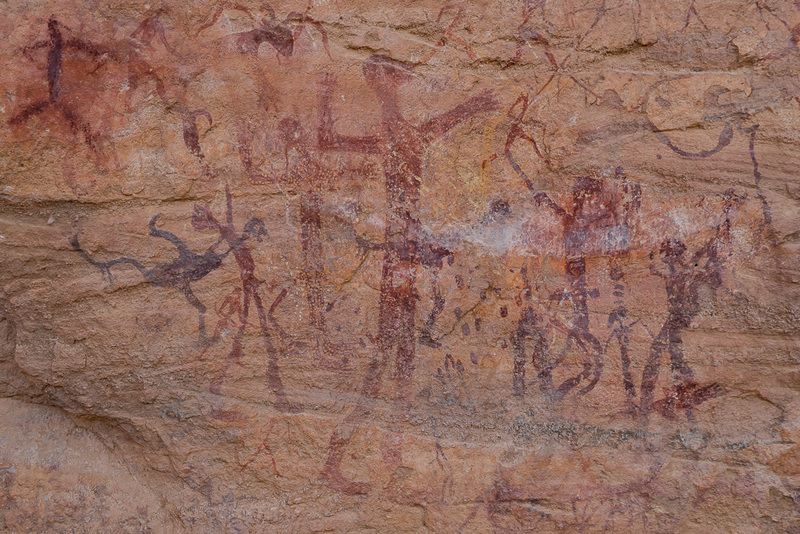 The Ouri plain is very rich in rock art and there are many beautiful paintings and engravings. 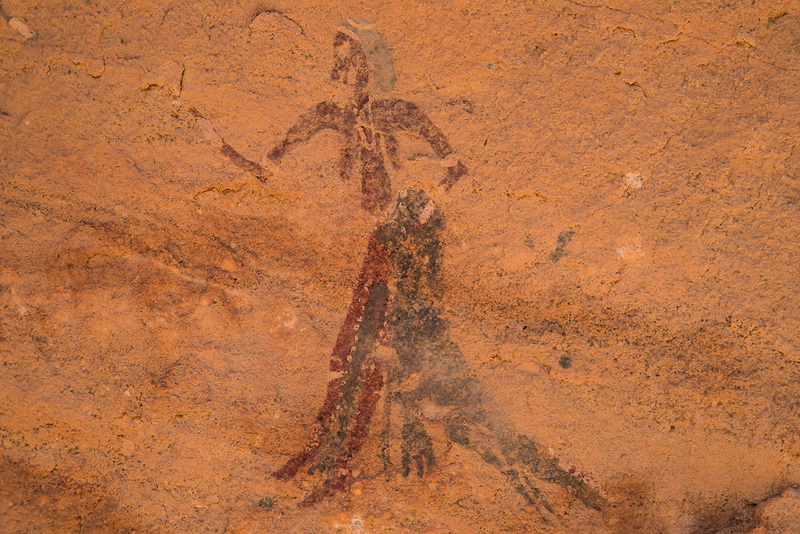 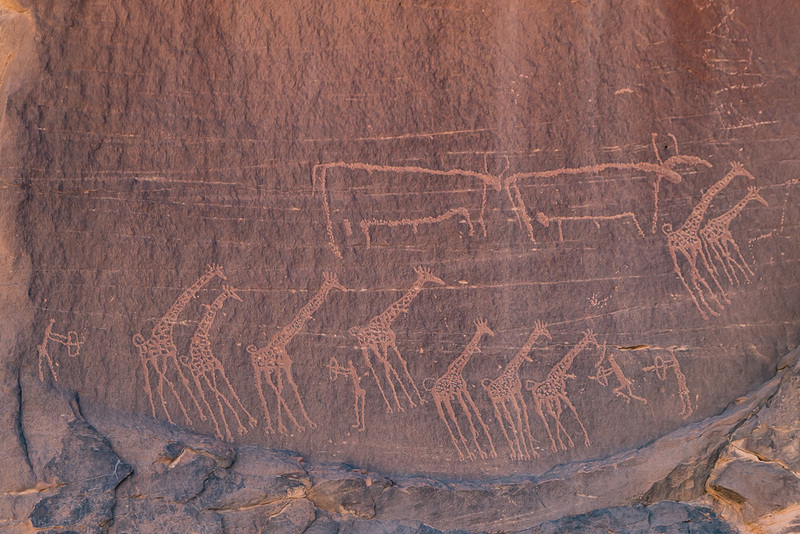 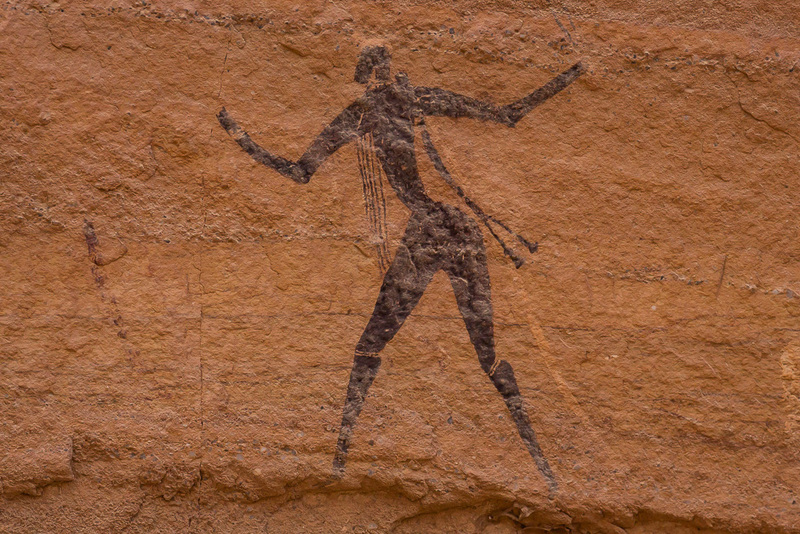 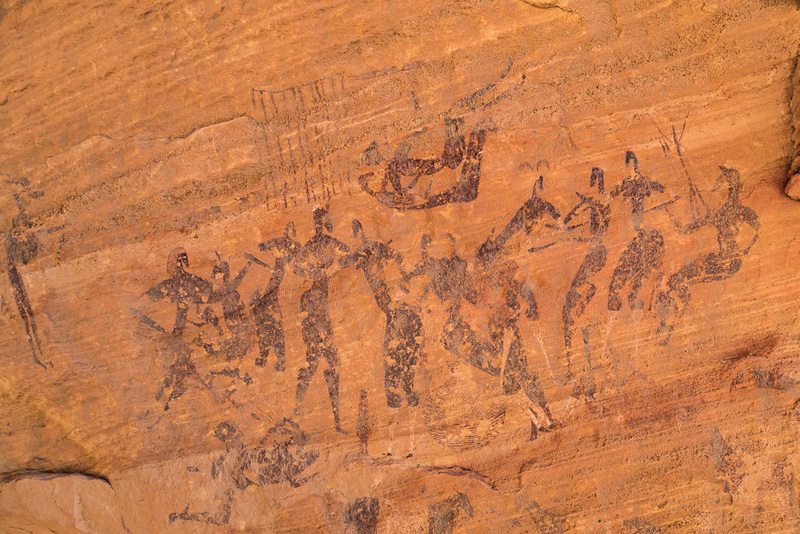 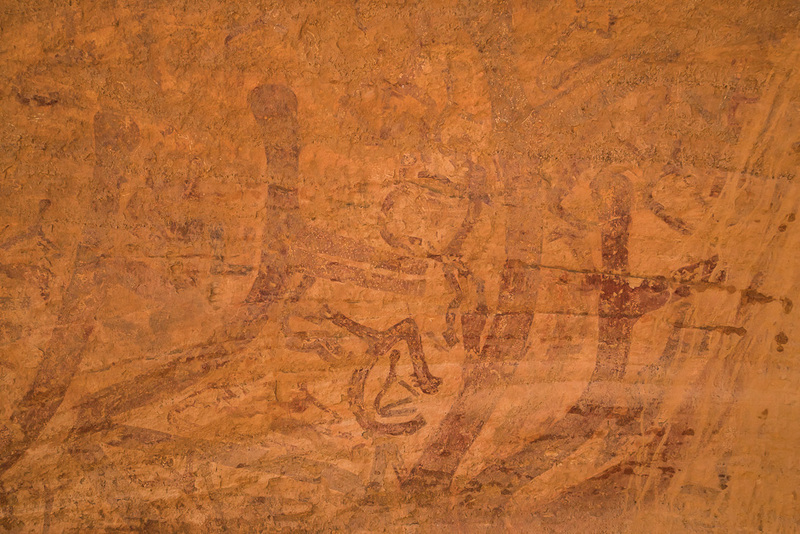 The rock art in the Ouri plain is very unique and highly diverse. 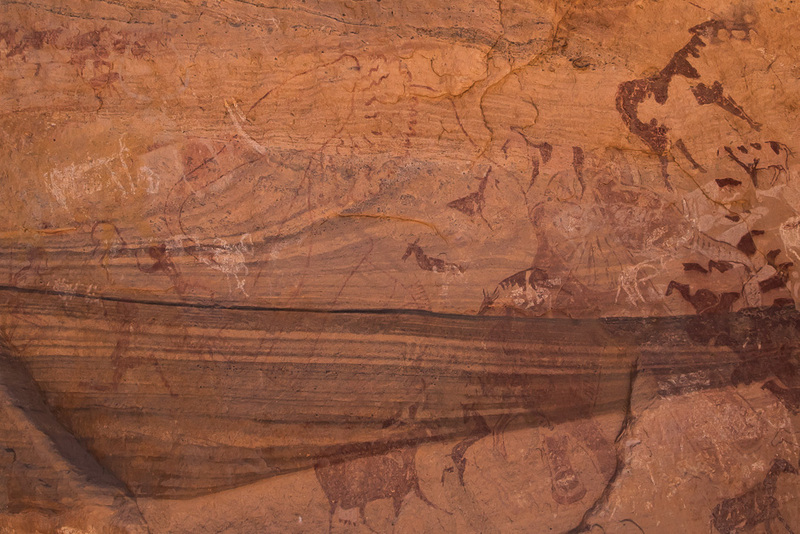 It was surprising to see a huge fresco painted by an artist over 20m of a wall, multi colored paintings, a colored engraving, etc.